With the busy world that we live in, when it comes to health and fitness, it is important that we properly prepare as much as possible to set ourselves up for success. From preparing meals ahead to having a workout plan written down before going to the gym. Being prepared sets you up for success and allows you to take down any obstacle that may be thrown at you. One obstacle you may encounter is just getting to the gym. Once you are there though, you must ensure total success both during and after your workout by being properly “stocked” on what you bring with you. You should always have your workout bag with you, stocked and ready to go. Inside will include some of the items below as well as snacks, change of cloths, extra shoes, etc. Always have fresh workout gear in your gym bag. This includes your shoes, shorts, t-shirt, socks, etc. Once you get home, remember to take your sweaty cloths out and swap in some clean new ones. I mean common, no one wants to workout in the same thing two days in a row right?! 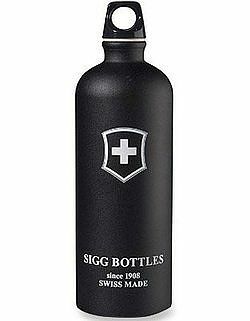 My water bottle of choice is a Sigg but there are plenty on the market that will work great. I like the Sigg 33-ounce because it is big enough to hold a good amount of water but not so big that it is uncomfortable to carry. In your gym bag should always be some protein powder and a protein shaker so you can quickly refuel after your workout. You can either keep the whole tub of protein in your bag or a simple zip lock baggy will do the trick. I cannot stress enough the importance of tracking your workouts and having a plan when you go workout. Always have your workout journal to track your reps, sets, weight used, rest periods, etc. This will ensure that you are getting stronger and better each time you go to the gym. 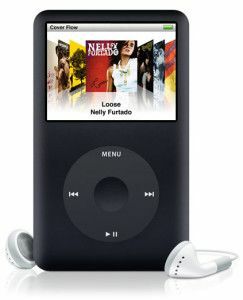 Having a good playlist will help keep you focused and intense throughout your workout. Plus, if you have your headphones on people are less likely to come up to you and interrupt your workout. As for after, most gyms do not provide towels for showering so be sure to have a clean one handy if you plan on taking a shower at the gym. The majority of gyms require you to bring your own lock to keep your belongings in the provided lockers. Although some people like to carry their whole gym bag with them as they workout, I would rather keep mine locked up in the locker room. Never, however, leave your stuff in a locker without locking it up. Items get stolen all the time from gyms so better to be safe than sorry. If you do not have a lock, your best bet is to keep your bag with you at all times. GymBoss makes a great interval timer if you want to purchase a physical product, or they have a free app for smart phones. Personally, I use the GymBoss App for the iPhone and I love it. We have discussed rest periods before, and in order to stay on track you must have a watch to keep your times. If you shower at the gym, bring your own soap, towel, and flip flops/water shoes (unless you don’t mind showering barefoot in a public gym!). What I just covered are ten essentials you should have with you each time you go to the gym. For starters, the first step is to invest in a nice gym bag and one that is big enough to keep all your belongings in. Like anything now, you can find one on Amazon for fairly cheap. Once you have your bag, work on keeping it stocked so you are always prepared for your workouts! P.S. Like this post? If so, hit that ‘Like’ button for me before you go!